We have selected a few of our favorite articles, papers, graphics, and videos about Direct Primary Care, as well as price transparency and the movement to introduce free market principles into the healthcare system to reduce costs, improve quality, as well as to make both doctors and patients happier. This graphic, made with data from the U.S. Government shows how the cost of healthcare has risen over the past several decades in proportion to the rise in administrators, who do not actually provide healthcare to patients. We believe that the best way to cut administrative costs in medicine is to eliminate as many administrators as possible. This video published by Reason, featuring DPC pioneers such as Douglas Farrago, M.D., Ryan Neuhofel, D.O., and Julie Gunther, M.D. discusses what DPC is and how it can be a part of the health care solution. 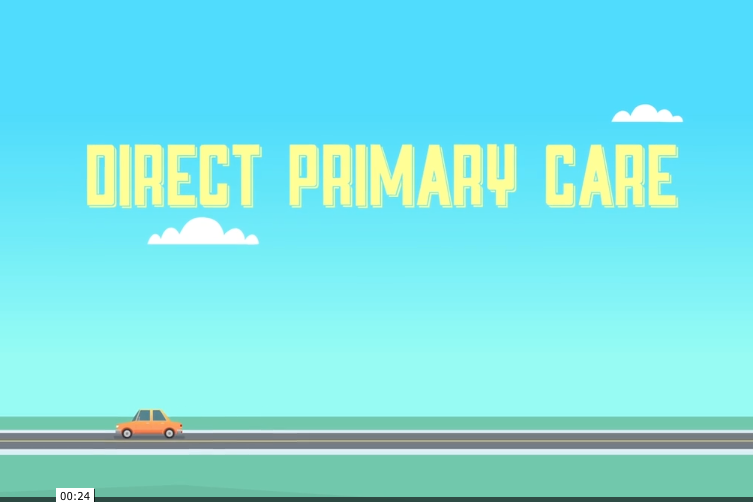 This short animation describes what Direct Primary Care is and why it is so beneficial for patients. This video was filmed at the 2017 Docs4PatientCare DPC Nuts and Bolts Conference. It features Chad Savage, M.D. who expertly explains how DPC can save patients a significant amount of money. This video was taken at the 2017 FreedomFest in Las Vegas, NV. It features Lee Gross, M.D., Co-founder of Epiphany Health in Florida and President of Docs4PatientCare Foundation. It explains what DPC is and how it helps patients. 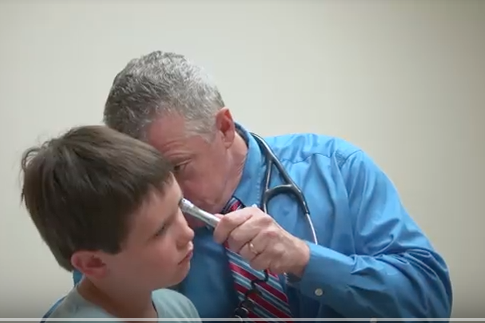 This report by Liam Siguad of the Maine Heritage Policy Center talks about how DPC can improve the doctor-patient relationship, save money, and improve quality and access to care. It takes a look at DPC in general, as well as in Maine specifically. Since its publication, more DPC practices have opened in the Pine Tree State. 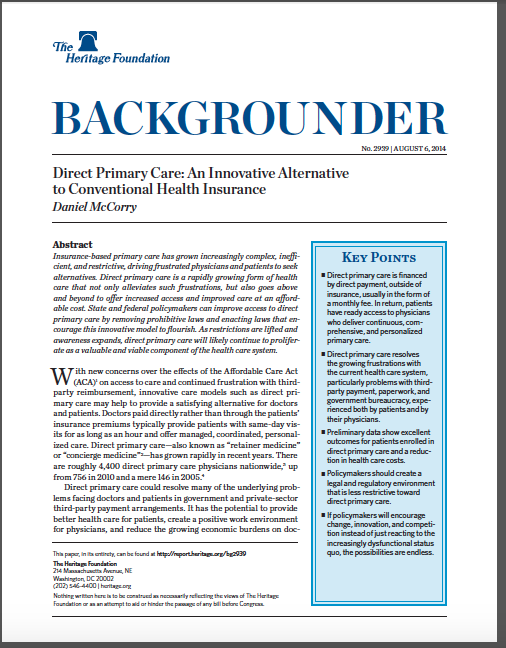 This 2014 paper published by the Heritage Foundation discusses the DPC model as an innovation that can save individual patients money, as well as the health care system in general. This paper by Katherine Restrepo of the John Locke Foundation demonstrates that DPC can not only save individual patients and businesses money, but also governments. 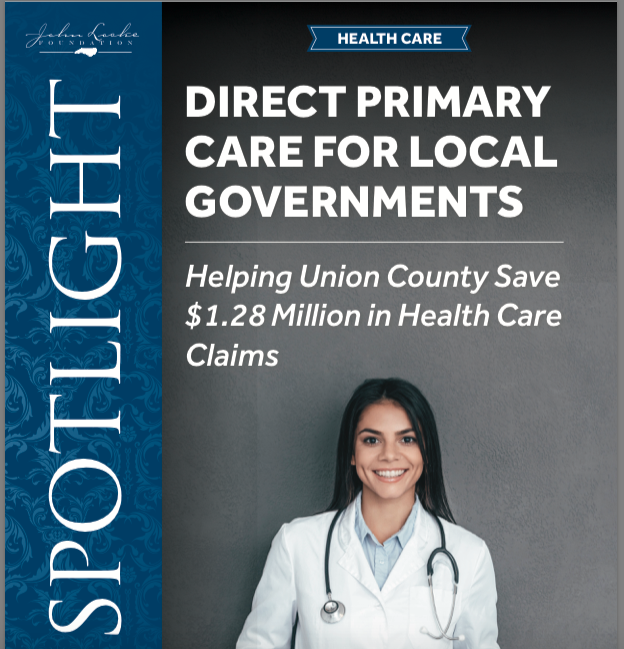 She analyses how much savings was demonstrated in Union County, North Carolina when that county's government offered a DPC option for their employees.